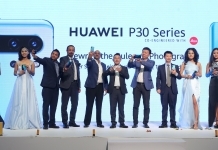 Huawei P20 and P20 Pro were of a huge success! The triple rear camera setup did the magic that nobody had ever thought a Chinese smartphone would do. The design, camera, and performance of P20 and P20 Pro challenged the entire flagship segment. 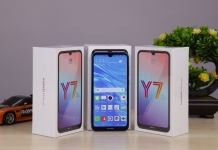 On October 16, Huawei launched yet another flagship, the Mate 20 and Mate 20 Pro with some dominant specifications. 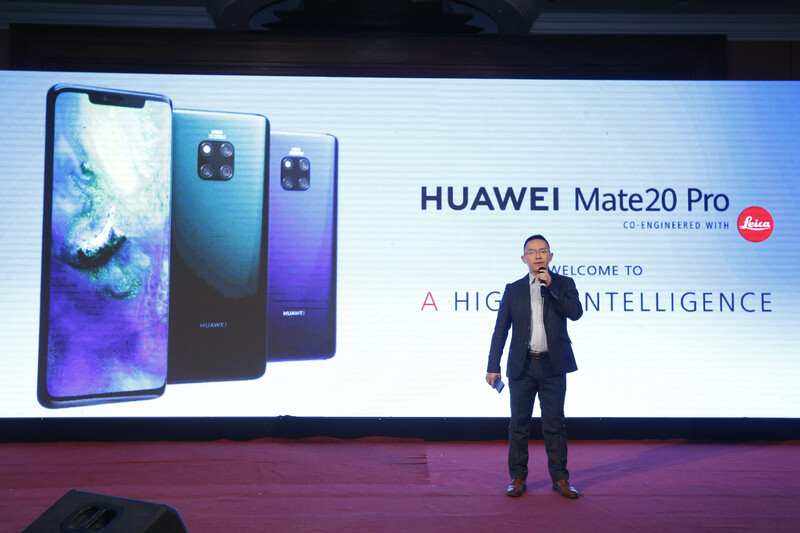 In an event held in Soaltee Crown Plaza, Huawei launched these much-anticipated smartphones, the Mate 20 and Mate 20 Pro here in Nepal. The Mate 20 Pro is Huawei’s most audacious smartphone yet, the company claims. Can the new Mate-Series live up to the P20 Pro? Let’s find out! Nobody can deny the fact that Huawei Smartphones have one of the best designs. The Huawei P20 and P20 Pro were two of the most attractive devices of 2018. Not just the flagships, even the Nova-Series beat most of the flagships in the design category. 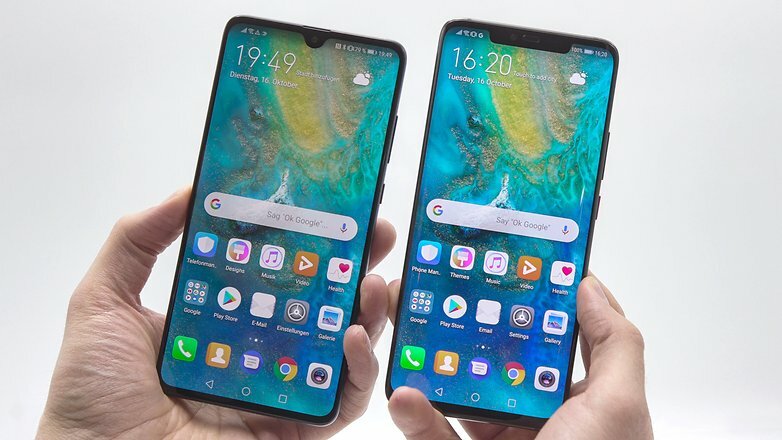 The recently launched Nova 3 and Nova 3i also followed the P20 lineup design and yet, they are the most attractive mid-tiers. And as expected, the Mate 20 lineup further improves on that. Like every other 2018 flagships, the Mate 20 and Mate 20 Pro follows the all-glass design with an aluminum frame. 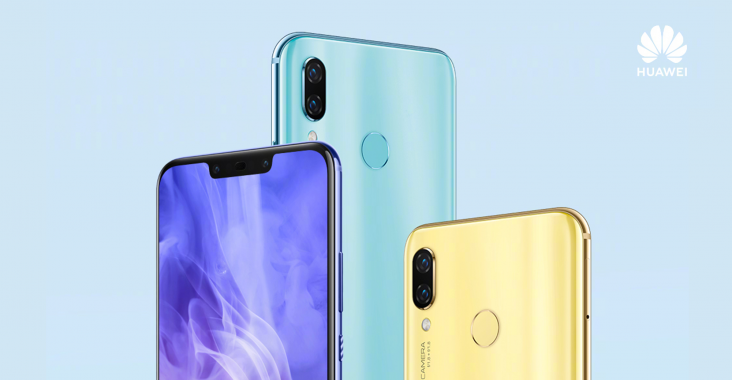 And the good thing is, they still feature the P20 Pro’s gradient color scheme. 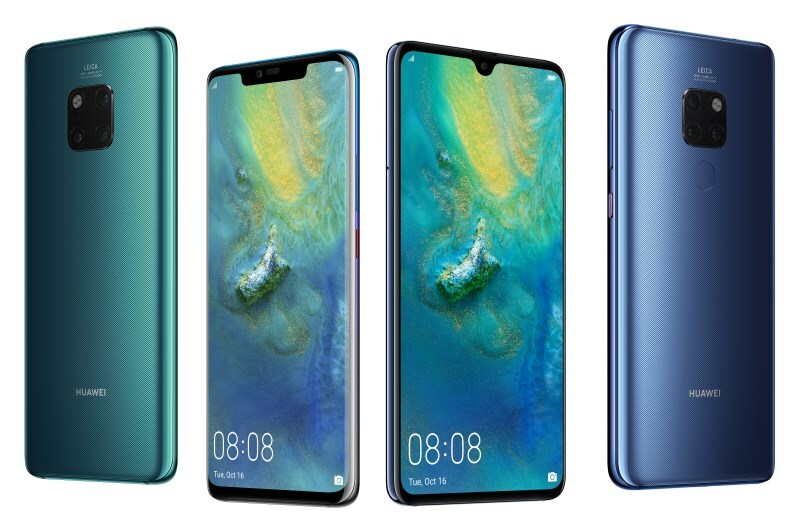 Both Mate 20 and Mate 20 Pro comes in five color options: Midnight Blue, Emerald Green, Pink Gold, Twilight, and Black. We can expect the Twilight color option to be people’s favorite, but the emerald green model looks really cool too. This year, Huawei is also introducing a new texture to the Emerald Green and Midnight Blue models. It’s called a “hyper-optical display pattern” and it provides the phone with more grips. The main idea of this pattern is that the phone will be somewhat smudge-proof and more resistant to fingerprints. The Mate-Series is always known for their high-end specs, and the Mate 20 is no different. 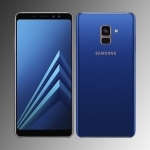 The standard Mate 20 comes with a 6.53-inch IPS LCD display with an aspect ratio of 18.7:9. The Pro version has a 6.39-inch curved AMOLED display with an aspect ratio of 19.5:9. Huawei has finally made changes to the displays that it should’ve made years ago. The Mate 20 Pro’s display has finally been bumped up to Quad HD+. 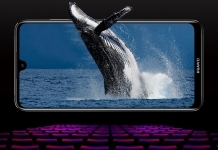 However, the Mate 20’s display is only Full HD+. Both, Mate 20 and Mate 20 Pro has a notch. The Pro variant has a huge notch where lies a 24MP Leica sensor and an IR sensor for 3D Face Unlocking. 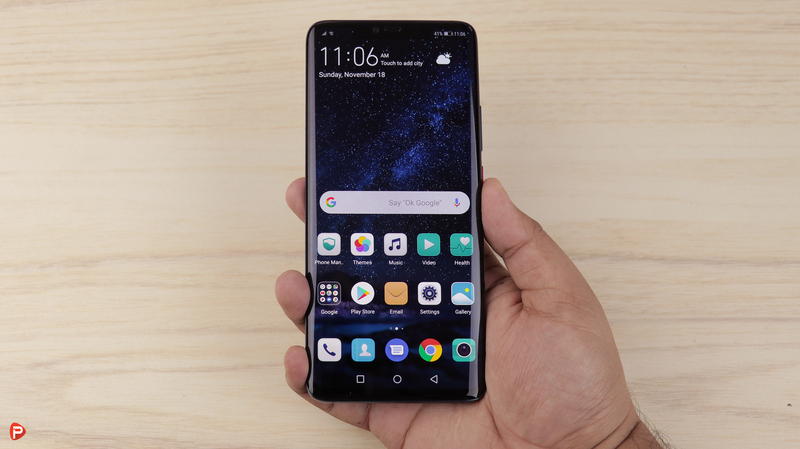 However, the standard Mate 20 has a small teardrop notch as we’ve seen in Oppo, Vivo or, Realme smartphones. Powering both devices is the new Kirin 980 and Mali-G72 GPU. Kirin 980 SoC is the world’s first chipset made on the 7nm technology. Apple has since released the iPhone XS/ Max with the A12 Bionic that’s also based on the 7nm process, but there isn’t any other Android phone that’s using it at the moment. The chipset should provide better processing and graphics without sacrificing battery life compared to similar chips built on a 10nm process. The Kirin 980 has Huawei’s dual neural engines. The company claims that it can improve AI processes by 134%. It also helps the phone process video in real-time and adds live bokeh effects. Huawei is also touting a general 20% speed improvement across the device, with a 45% boost in graphics and 40% better efficiency. The Kirin 980’s eight cores are split between four small, two medium and two large cores. Theoretically, the chipset will allow phones to spin them up in combinations that more efficiently match the processing needs of current tasks. This should result in lower power drain through better efficiency. As for RAM, the Huawei Mate 20 comes in 4GB and 6GB configurations. However, the Pro variant comes in either 6GB or 8GB configurations. The standard Mate 20 will have only 128GB of onboard storage but the Mate 20 Pro will have either 128GB or 256GB of storage options. You can expand the internal storage but there is no option for microSD card. So how will you do it? Storage on both devices can be upgraded up to 256GB via a proprietary NanoMemory card. You can find the NM card into the top or bottom of a new double-sided SIM slot. Optics has been a big push for Huawei since it teamed up with LEICA. Set out in a square on the back, the Mate 20 Pro packs a 40MP (f/1.8) main sensor, an 8MP (f/2.4) of a telephoto lens with 5x optical zoom and a new 20MP (f/2.2) ultra-wide angle lens. This time Huawei has let go of the monochrome sensor because of their belief in the quality of the new 40MP sensor. 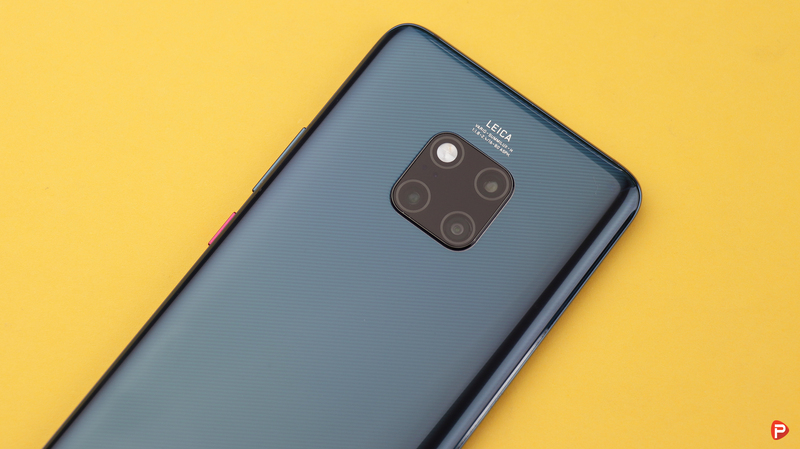 The Huawei Mate 20 has the same triple array of cameras as the Mate 20 Pro, though with fewer megapixels in two of them. It has a 12MP (f/1.8) main sensor, an 8MP (f/2.4) telephoto with 3x optical zoom (paired with OIS) and a 16MP (f/2.2) wide-angle camera with autofocus. Both devices have a 24MP (f/2.0) selfie camera. On the Mate 20 and Mate 20 Pro, Huawei’s Master AI will actually auto-select the proper lens based on photos you’re taking. You can, of course, manually change back at any time. Because of Kirin 980’s new dual NPU, the Master AI feature can, now, recognize over 1500 scenes as opposed to the 500+ scenes on the Mate 10 line. While the regular Mate 20 has a rear-facing fingerprint sensor, the Pro variant comes with an in-display unit. 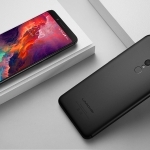 Both devices will launch with Android 9 Pie and EMUI 9 out of the box. 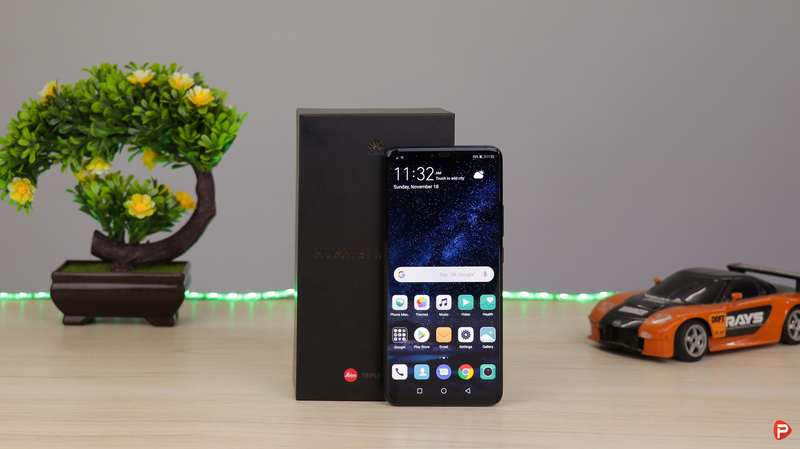 Huawei’s EMUI 9 brings a fair amount of upgrades and refinements from last year’s EMUI 8. The Mate 20 Pro comes with IP68 water and dust resistance, while the Mate 20 doesn’t have any resistance. There’s no headphone jack, of course! The Mate 20 and Mate 20 Pro comes with huge 4000mAh and 4200mAh of battery. Both phones come with Huawei’s Supercharge technology, but the Pro gets an upgrade. Huawei Supercharge on the Mate 20 Pro is now up to 40W, which will get you roughly a 70% charge in about 30 minutes. Both phones also support 15W wireless charging, but the Pro variant gets an upgrade here as well. You can actually use the Mate 20 Pro as a wireless charger! The Huawei Mate 20 Pro launches on October 16 with SIM-free pricing from €1049. The 4GB and 6GB RAM variants of the regular Mate 20 are priced at €800 and €850 respectively. Although the pricing of the Mate 20 has not been revealed, the Mate 20 Pro is priced at Rs 1,29,900. 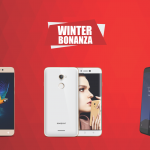 The phone by far is the most expensive Android phone on the market right now in Nepal.